It’s not the first time government bodies have been under fire for how operations were handled over the last wildfire season. A recent report from the Nadleh What’un First Nations, located near Fraser Lake, cites lack of funding, lack of communication and jurisdictional confusion from the BC Wildfire Service (BCWS) and both the provincial and federal governments. 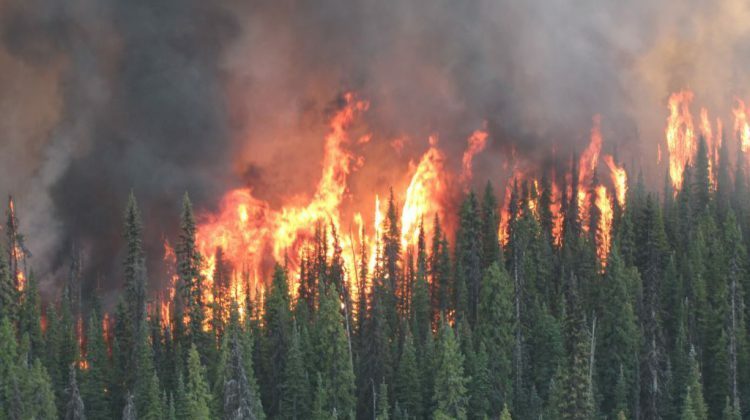 Over the summer 111, 966 hectares, around 22% of the Nadleh Whut’en territory, was burned in the Foster Lake, Dog Creek Road, Shovel Lake, and Island Lake wildfires. “Wildfire liaises with municipalities and regional districts during emergencies, but there was confusion as to who was responsible for communicating with First Nations about the emergency. There is no clear map of jurisdictional responsibilities,” said the report. The report, titled “Trial by Fire: Nadleh Whut’en and Shovel Lake Fire,” said at one point the Nadleh received a notice to evacuate their healing camp a day after it had already been burned. A full version of “Trial by Fire: Nadleh Whut’en and Shovel Lake Fire” can be found here. We are committed to the safety of all British Columbians. We recognize that we need to do more to prevent, respond to and recover from emergency events like wildfires and floods, and we are taking steps to do that. We’re pleased to see that the Nadleh Whut’en First Nation has conducted its own review of the 2018 Shovel Lake wildfire and made recommendations for its own actions during wildfires. Some of the concerns that were raised in the Nadleh Whut’en report were also identified in the independent Abbott-Chapman report (Addressing the New Normal: 21st Century Disaster Management in B.C.). Government is addressing the 108 recommendations that George Abbott and Maureen Chapman included in their report. For example, the B.C. government recognizes the importance of incorporating local and traditional Indigenous knowledge into emergency management practices, including ensuring that community wildfire protection plans and forest fuel management plans consider traditional uses and knowledge of the land. We are also looking at how we can improve public information and outreach efforts to Indigenous governments, communities and local stakeholders. This includes: more engagement with First Nations at regional partnership tables; offering support to Indigenous communities in preparing community recovery plans; and increasing public awareness of the mental-health impacts of wildfire and what resources are available for people in affected areas. We are building cultural sensitivity training (and awareness of racism and discrimination) into our emergency management plans.